The Asyra Pro Screening System explores the root causes of our clients’ health problems and helps how to solve them. The non-invasive test is completed in minutes with no practitioner bias. The Asyra uses a bio-energetic screening to provide you with information about the energetic origins of your challenges and helps us to quickly identify the issues and appropriate solutions. The Asyra Pro is an effective tool for Cosmo Care to deliver a truly personalised and accurate health and wellness plan for you. Where many other devices recommend generic remedies, the Asyra Pro guides us by using the client’s own responses to a multitude of possibilities, with the freedom to choose the area of investigation for example, food sensitivities and allergy profile. Informational ‘imprinting’ provides a re-enforcement of the test and insight procedure to bring about sustained benefits. We always put you, the client first, achieving dynamic results. You will hold two brass hand bars and feel absolutely no pain or discomfort throughout the process. It is entirely non-invasive and requires no removal of clothes. The Asyra software contains digitally-encoded information relating to a wide range of mental, physiological and emotional factors. The signals are output by the Asyra hardware as electromagnetic signals during testing, the response of the body to those signals is recorded. 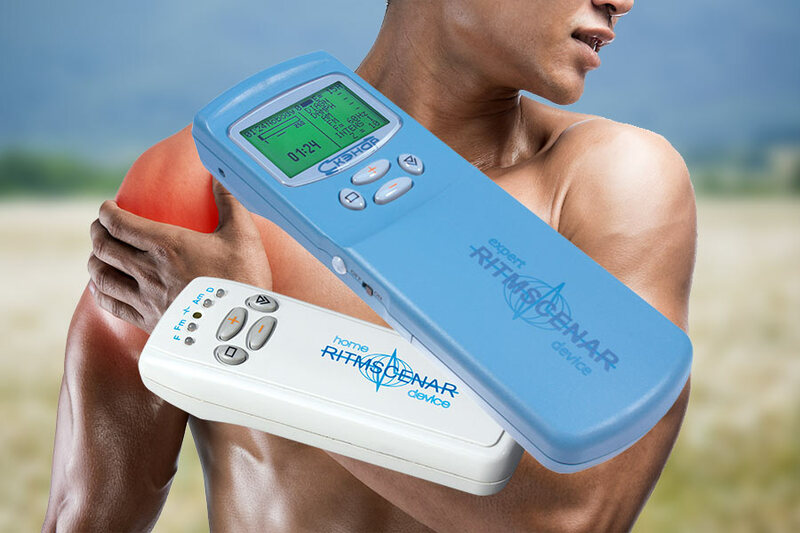 The response being measured is small changes in the electrical resistance of the skin. This information is relayed back to the software. A report is generated on the computer of any responses that are outside specific limits. The Practitioner selects the tests to run, normally beginning with the Comprehensive analysis. A wide range of tests record the client’s responses to signatures for foods, nutrients, organs and structures of the body, emotional issues and many more. There are pre-defined protocols and the scope to define your own particular tests. The tests are run, taking usually no more than 3 or 4 minutes. The items falling outside the central balanced range are displayed on the computer screen. We will then discuss the results of the screening with you. This often stimulates a much more in-depth conversation that would have not been achieved otherwise. The Asyra can create imprinted solutions to help start you on the road to good health. We will then save the results from the screening for future reference, and a copy will be printed off for the client to take home at the end of the consultation. Why should I have an Asyra Screening? If you have known health issues or are feeling under the weather, no energy, pain and discomfort, allergic reactions etc., an Asyra screening will fully analyse your body and report on the issues that are causing the complaints. We can then analyse the results and make recommendations to tackle and improve your health & wellbeing. What will the Asyra Screening show me? The one definite and unchanging aspect of interpreting the test results is as follows: if an item shows up as unbalanced (usually a red or yellow indication against the item in the displayed list), then that signals that among the potentially hundreds or thousands of items tested, the body gave an above or below average electrical resistance response. In different words, the body-mind system has indicated some kind of reaction to the item being tested, and along the lines of homeopathic treatment, we can use that to ‘remind’ the organism to improve that particular aspect of homeostasis. Consider a couple of parallels. Firstly from immunology: introduction to a pathogenic microbe initially causes a disturbance to the body, perhaps quite a serious acute reaction. However, as the information is relayed around the immune system, the body learns to cope with that particular pattern better next time. Secondly, from psychology: a therapist mentions an event in calm conversation to his client and the client breaks down in tears – he has hit a raw nerve. Subsequent discussion desensitizes the event and places it in a context. In both these cases, a repetition of information has allowed the body to become more robustly adapted to its environment. The Asyra test is identifying items to which the body/mind system can learn better adaptive behaviours. These items may be as diverse as foods, pathogens, emotional patterns, colours or nutritional and pharmaceutical agents. What is the nature of the Asyra information? Running an Asyra test is an example of a process that we call bio-energetic testing. Bio-energetic (or just ‘energetic’) testing is effectively ‘asking the body a question’ and obtaining the response directly from the body’s own physiology, without engaging the conscious and language centres of the mind. Another informative comparison is the phenomenon of ideo-motor response, which is used by hypnotherapists. When a subject is in a trance state, a set of pre-defined response patterns (e.g. raising one finger or another, which occurs without conscious effort) can be observed to obtain responses to questions about which the subject may have no conscious recollection. This method can be used to recover memories from the unconscious mind, which is thought to store all our experiences, regardless of whether we can ‘remember’ them in normal consciousness. These examples bear similarities to Asyra testing, but Asyra testing goes one step further. The challenges or questions are presented a micropower radio signal output, rather than in words. What really distinguishes the Asyra from manual methods and from many of the other devices on the market is the skill and experience that has been brought to bear over 30 years in collecting and refining the digital encoding methods and in improving the technology for recording responses. 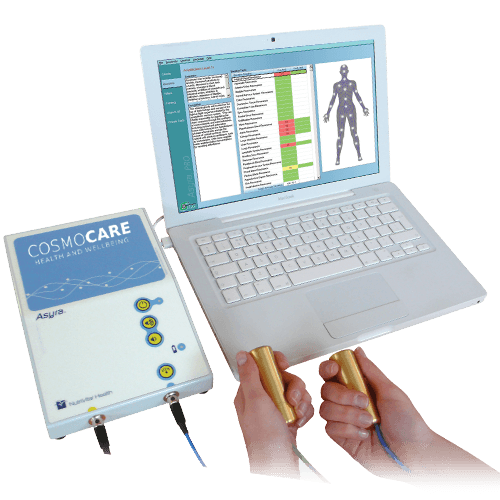 The latest Asyra Pro system is able to run a very large number of tests in a few minutes and thereby build a broad picture of energetic functioning and responses in the client’s body. Will I need to be reassessed at a later date? The answer to this is ‘sometimes yes, sometimes no’, and it would be surprising if it was any other way. It is always re-assuring for practitioners and clients if the test reports seem to confirm things that the client is reporting in the case history, perhaps even more so if it is things they have initially held back from telling the practitioner. However, the real value of a bio-energetic testing or bio-resonance system is to reveal underlying patterns that are able to help change the dynamics of the system. These, by definition, are not the symptoms themselves. They may be recognisable as things closely associated with a symptom, or they may not be. A client’s state of health can be considered like a complex 3-dimensional form about which we can only ever see a 2-dimensional snapshot. When we combine multiple snapshots from different angles, we get a better impression of the overall shape. When we want to help a client undo patterns that have been ingrained into the body over years or decades, the process can be seen as stripping away ‘layers’. Bio-energetic testing using the Asyra, especially using the Comprehensive Analysis at the heart of the system, reveals the body’s first priorities for healing, and those may or may not correlate with the main symptom that the client is presenting. As we peel away more layers, different causative aspects of the health problems reveal themselves for healing. Why are we unique? Because we deliver unique solutions! We don’t just look and listen to your issues, we analyse in depth and treat every client as a unique individual. No two clients will require the same treatment plan! 94% of our client’s come from referral, which tells us we must be doing something right! 100’s of very satisfied clients. Let’s see what some have to say! Theo thank you very much for your time today. I’m glad I had a simple non-invasive test with you today. As somebody who trains hard and knows my body I am always interested to find out more. Your Asyra test gave me insight into what I’m lacking and impressed me by knowing details to my medical history which only my doctor and me know. You explain everything clearly and spent your time answering my questions. Looking forward to seeing my progress in 5 weeks. Thanks again. Thank you so much to Theo at Cosmo Care! I visited Theo in July for IBS and after just a few weeks I have drastically improved with my symptoms and will further improve due to the great products and the ASYRA body analysis. Will definitely continue seeing Theo until we are both happy with the results! Would fully recommend! Cosmocare is a full practice health & wellbeing centre offering many solutions to improve your lifestyle. An active lifestyle can be very demanding. Sports therapy massage, associated treatments and support products can provide effective and lasting benefits. Cosmo Therapy can help you regain your physical health and improve your quality of life. 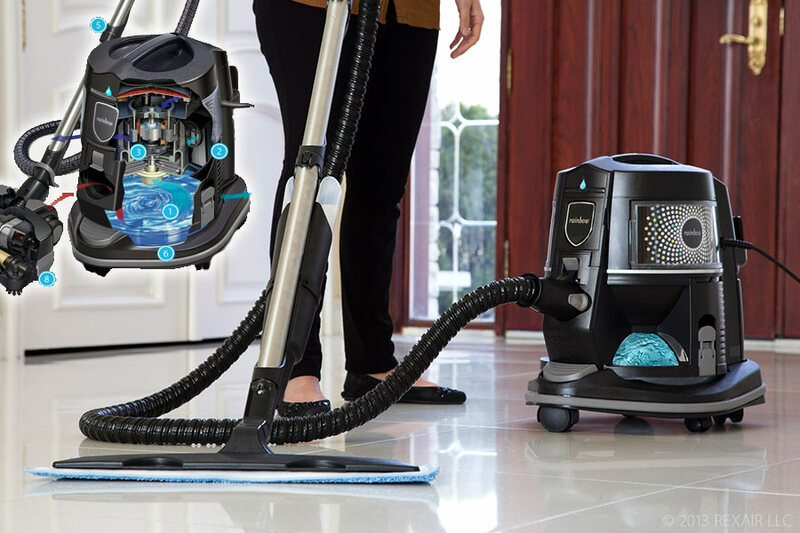 Meet the world’s most advanced home cleaning system, the Rainbow. It uses water to trap dirt in its water reservoir. As a result of this, the dirt and dust are fully removed from the home, making it a sensible and long-term asthma remedy. The unique spectrum of Nikken wellness products includes products for you and your home to achieve total wellness and a balanced lifestyle through our focus on our Five Pillars of Health – Healthy Mind, Body, Family, Society and Finances. Scenar Therapy is an excellent form of treatment for many problems within the body, acute or chronic, which might have failed to respond adequately to other therapy attempts. Providing effective pain relief, not just a temporary fix.